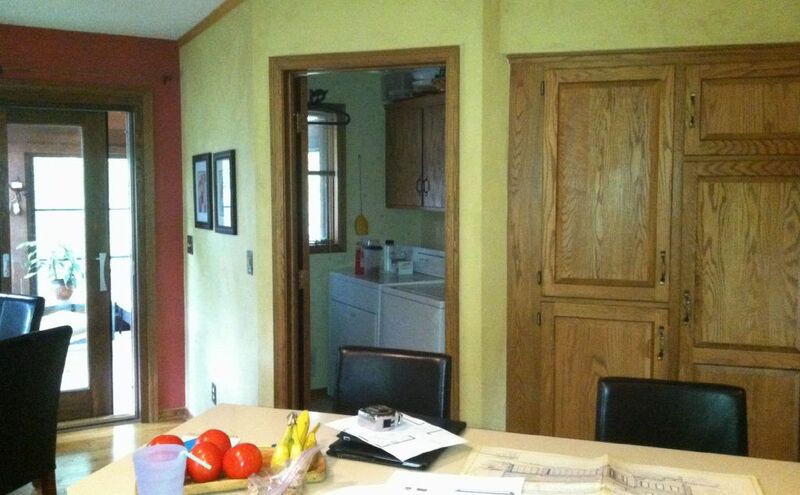 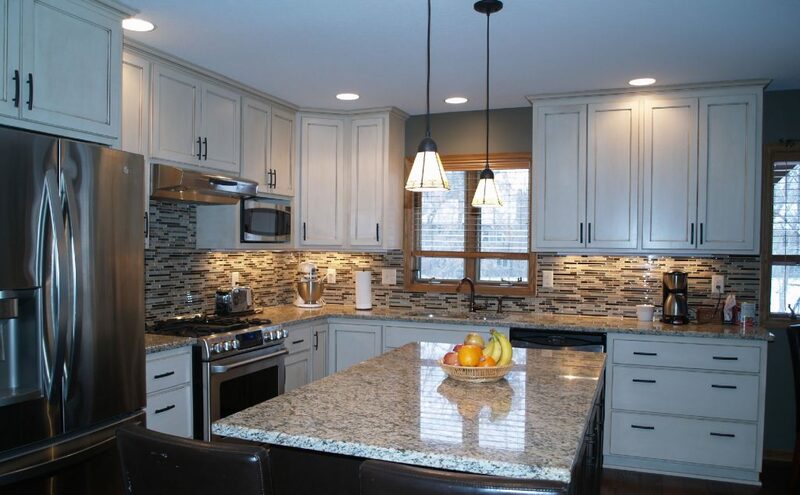 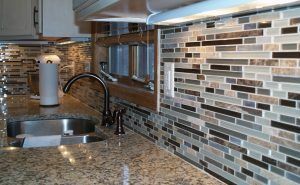 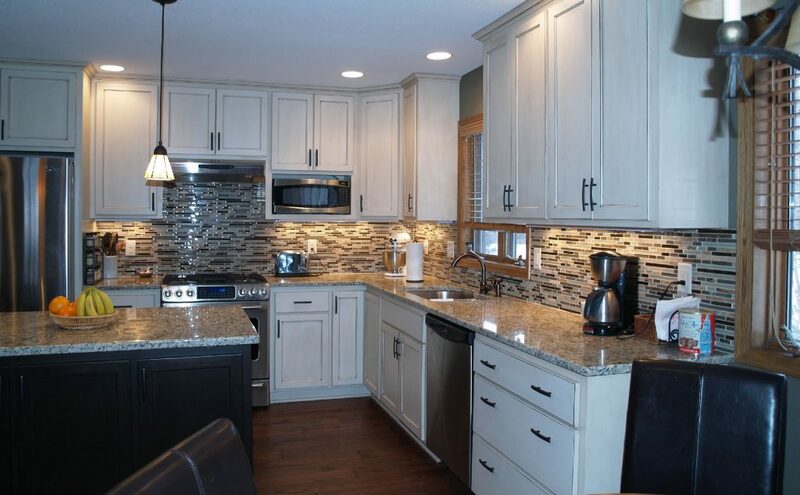 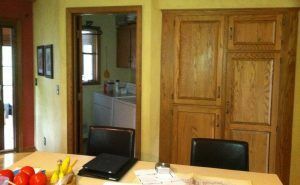 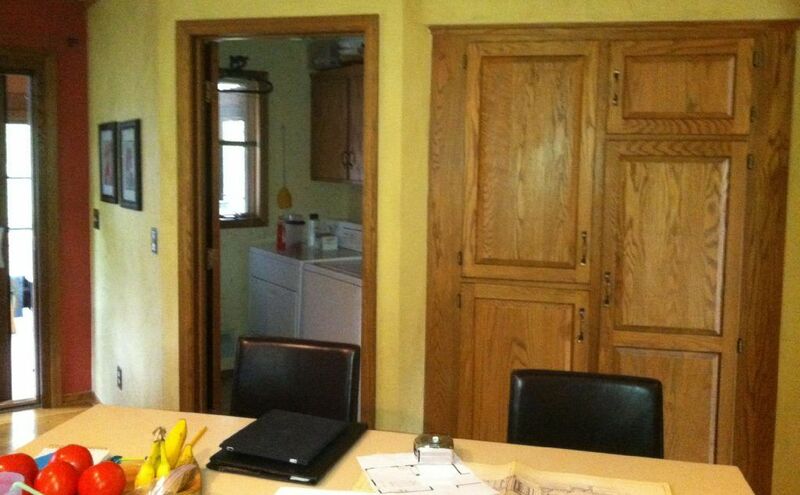 After 25 years of living in this Bloomington MN home the owners decided that it was time for kitchen remodel. 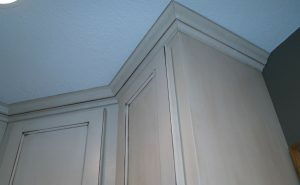 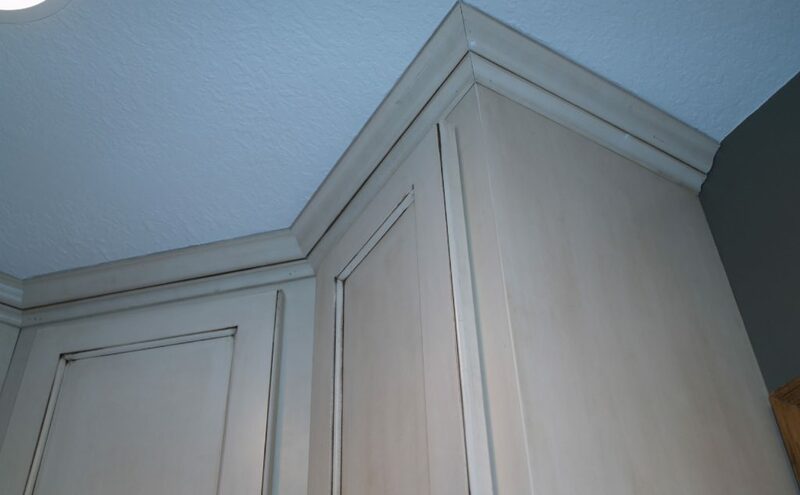 The original builder of the home installed cabinets that were traditional for the time, but now gave it an outdated feel. The new plan for the kitchen remodel was too relocate the laundry room to the basement, remove the walls to open the space for a larger kitchen area. 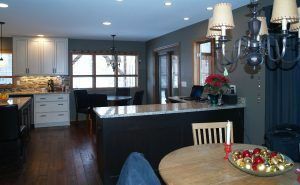 With the new floor plan the kitchen is a lot more functional and efficient. With wide open spaces has the feel of a newer house. 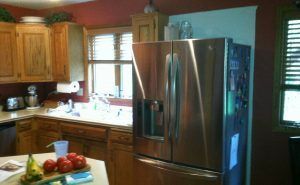 The home owners decided to go with white cabinets with a glaze for and antique look. 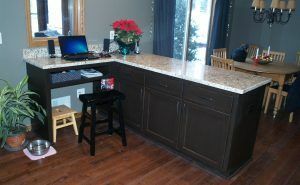 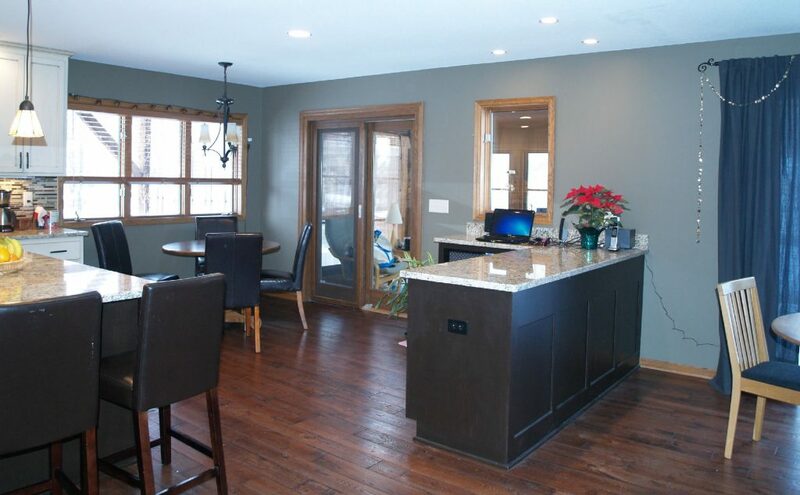 Contrasted by the darker alder center island and desk area. 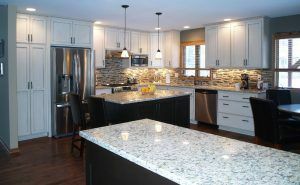 The countertops are granite and the kitchen also features a glass and stone backsplash. 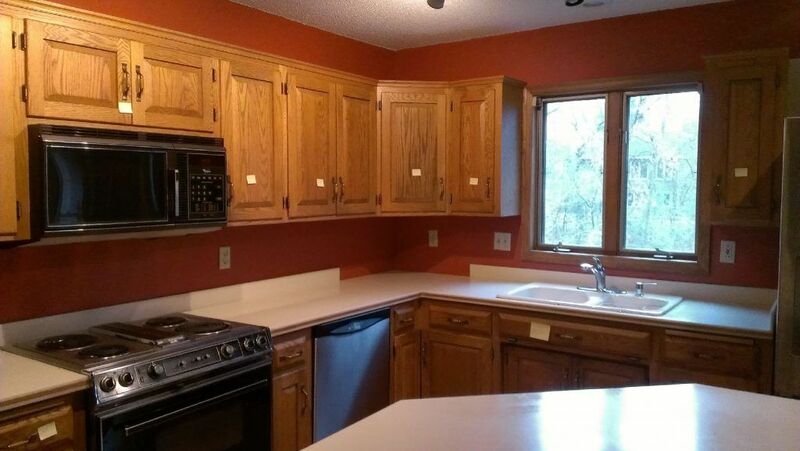 Total in-home construction time on this kitchen was 13 days. A competitors bid for the same kitchen was over $20,000 more and their projected construction time was over 10 weeks. 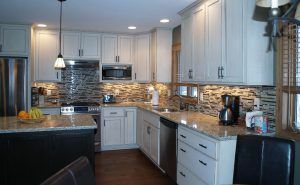 It’s projects like this where working with a kitchen specialist such as Aspen Remodelers really shows its benefits.